Advocates For Freedom is dedicated to ending the exploitation, sale and enslavement of men, women and children. Through awareness and education, AFF has been leading the way to stop Human Trafficking throughout Mississippi and beyond. We want to inspire you to "look beneath the surface" and help find solutions to end this modern-day form of slavery - one life at a time! Join us in the fight against Modern Day Slavery! Human trafficking is the fastest growing crime in the world. We believe that Awareness is the first step to rescuing victims. Traveling the State of Mississippi, our team shares information, encourages and empowers people to help end human trafficking. Contact us today to line up a speaker. Education is key. AFF has developed and is sharing age-appropriate educational materials with schools and in classrooms statewide. We work closely with and provide training to law enforcement and other agencies that are helping vulnerable people in our communities. It takes a community. AFF is collaborating with others across the State of MS, that represent government, law enforcement, businesses, medical, education, churches, non-profits and others. Together, we are finding solutions to end human trafficking. Together, we are making a difference! Join The Freedom Club today! 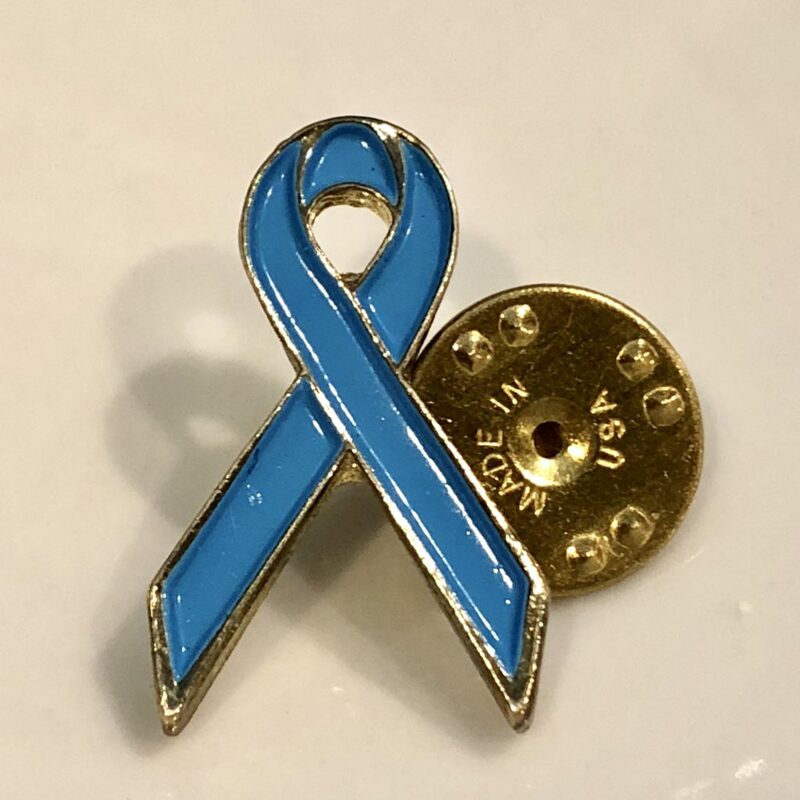 Be the voice for Human Trafficking victims and survivors by wearing this Blue Ribbon push-through lapel pin. Each Pin comes on a Conversation Card, filled with info and stats that you can share with your circle of friends and colleagues, to get the conversation started. The Blue Ribbon Pin Campaign is sweeping the nation, as we stand in solidarity against the cruelty of trafficking in human life, a crime that knows no age, income, color, creed or class. All proceeds go directly to aiding our victims.